- This is the second Septimu Heap book. - The cover is modeled after the in-story book: How to Survive Dragon Fostering: A Practykal Guide with the Flyte Charm lying on top. I never grow tired of reading fantasy novels that is why I always look for sequels if it belongs to a series. Even if the book is intended for younger generations it doesn't even hinder me to buy and read it (I am not sharing how old I am). 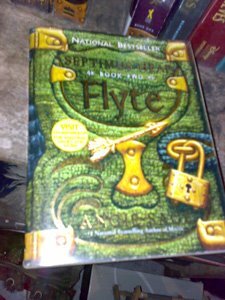 And one of these books for younger generation is Septimus Heap: Flyte by Angie Sage. I read this book as if I were a younster once again, enjoying on the magykal experiences, laughing on the funny passages, and reliving the adventures. This one is as highly readable and enjoyable book like the first one in the series, which is entitled Magyk. That's why I was in turn so eager and excited for the next book in the series (Physik) so on and so forth. The seventh and last book, which is called Fyre, will be published this April 16, 2013. 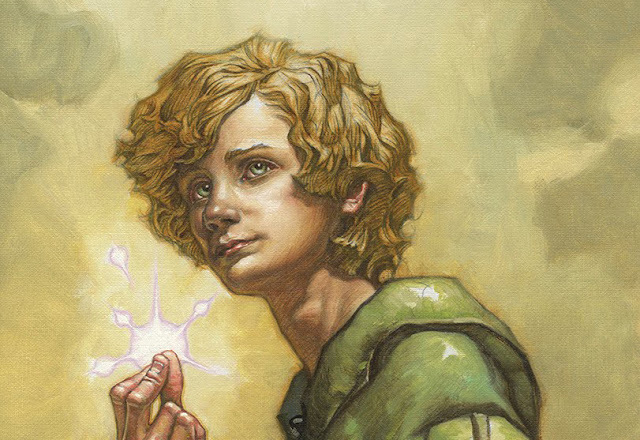 In the second book we see Septimus as the apprentice to Marcia. When Simon kidnaps Jenna, Septimus goes out to search for her. He is assisted in his search by his friend Beetle. But Jenna runs away from Simon's observatory in The Badlands and makes her way towards The Port. Eventually Septimus is able to rescue Jenna with Nicko's help from the Port but they are tracked by Sleuth, Simon's tracking ball. They make their way to the Marram Marshes where they take the Dragon-Boat from Aunt Zelda's cottage and fly her to the Castle. But they meet Simon, flying in the sky. Simon drops a huge Thunderflash on the Dragon-Boat and it drops over Jannit Marten's Boatyard. Septimus, Jenna and Aunt Zelda are able to revive her through the Transubstantiate Triplet spell. Septimus is also in search of the long lost Flyte charm. He finds the separated charm and unites it along with the small arrow Flyte charm that Marcia had given him. Eventually he is able to fly and even warns Simon never to harm Jenna again. Also, the rock that Jenna gave him at Aunt Zelda's cottage, turns out to be the egg of a dragon and eventually it hatches. Septimus absolutely adores the dragon and names him Spit Fyre. The dragon for some strange reason, identifies Marcia as its mummy, much to Marcia's annoyance. Septimus also rescues Marcia by identifying the shadow that has been trailing her. He also finds out that the ShadowSafe which Marcia is developing has the bones of destroyed Necromancer DomDaniel which, once assembled, tries to kill Marcia. Marcia, with Septimus's help is able to Identify him and thus he is again destroyed.